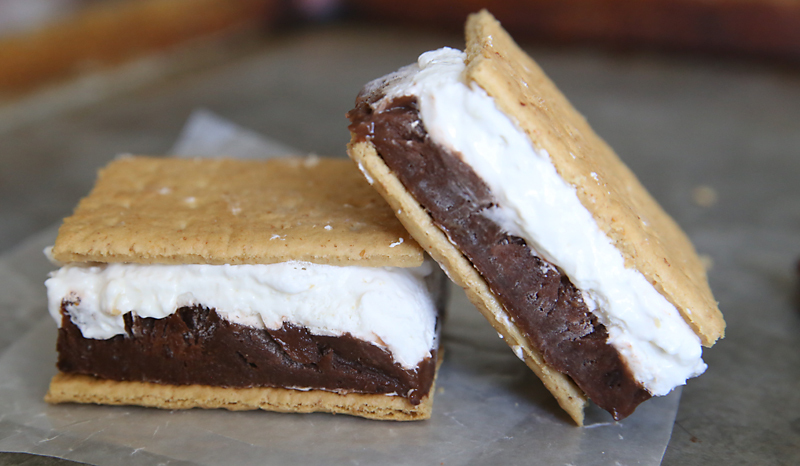 Sometimes you just want the flavors of a s’more without the work (or heat) of a campfire, right? 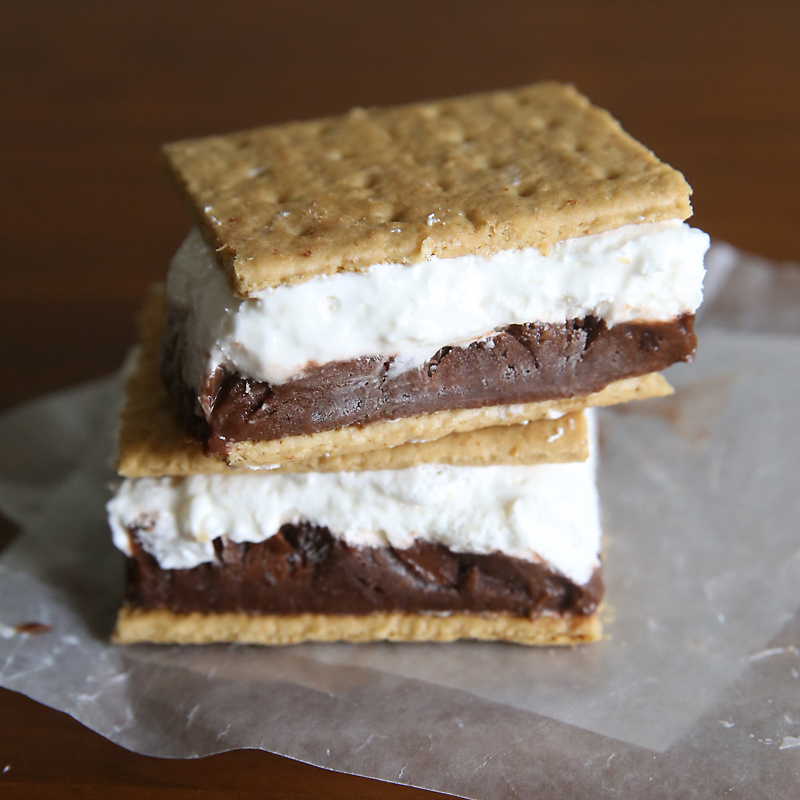 These frozen s’mores are the perfect treat for a hot summer day because you get all the chocolate/marshmallow/graham cracker taste in a cold refreshing format. 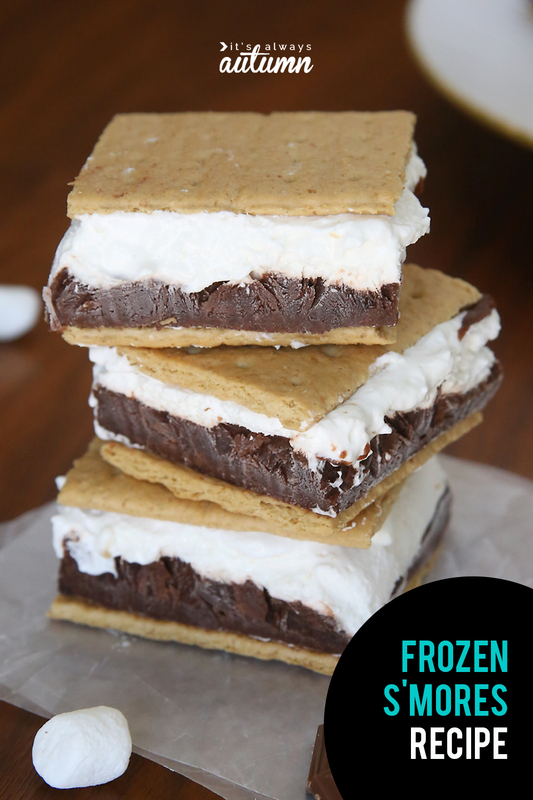 They’re easy to make and keep in the freezer so you can hand them out next time you have a bunch of kids running through the sprinkler in your backyard. 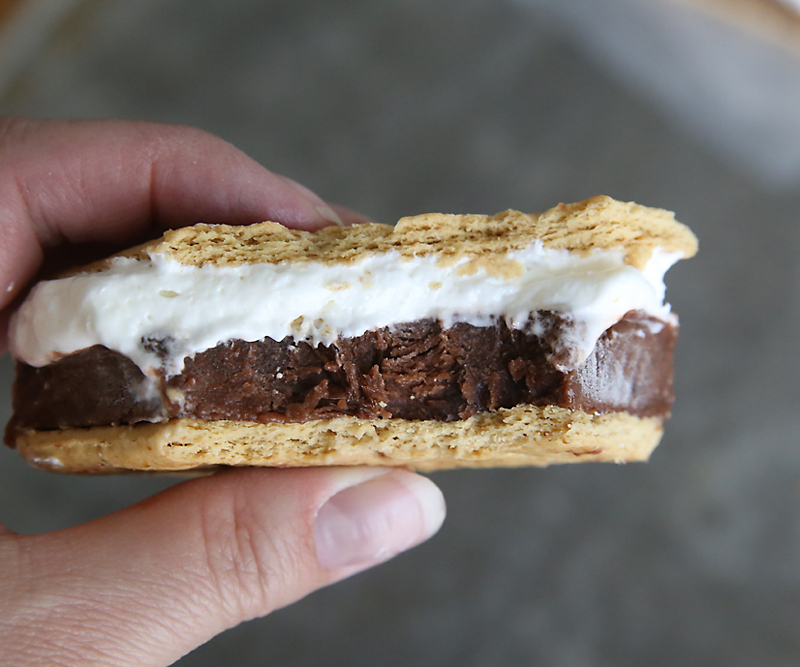 The bottom layer is chocolate pudding, which freezes to a nice fudge-bar like consistency. The top layer is a mixture of marshmallow creme, cream cheese, and whipped topping. 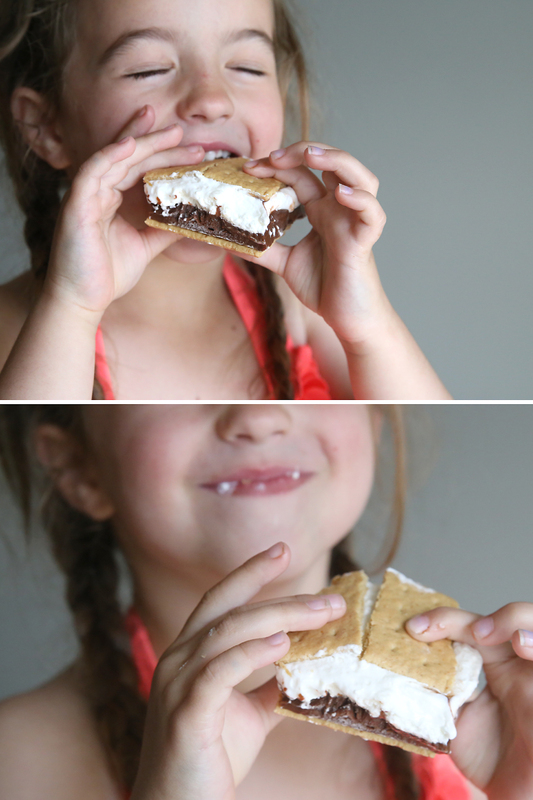 Sandwich them both between two graham cracker halves and you’ve got an easy homemade treat the kids will love! 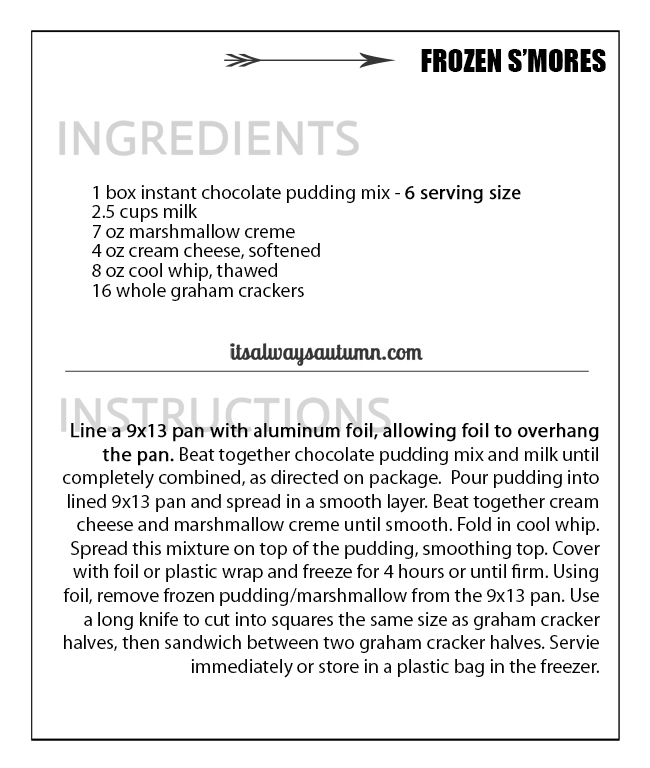 Download the free printable recipe card by clicking here. Can u use canned pudding? I used less milk to make sure it sets up a little thicker. Good luck!